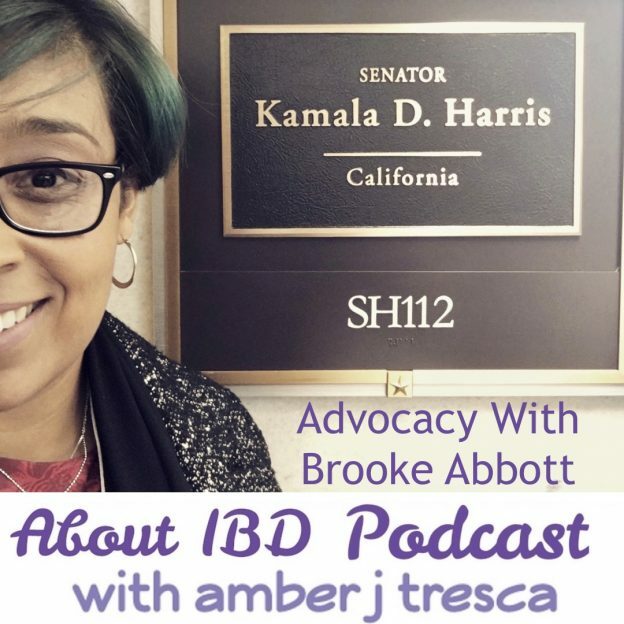 6:00: What’s an IBD Elevator Speech? Hear Brooke’s. 7:15: Find out what happens when you meet with the staff in your representatives’ office. 12:27: What should you know—and do—before you meet with someone at your representative’s office? 12:53: What you do say when you call your representative’s office to set up a meeting? 15:34: Do this if your representative will not meet with you. 22:07: What to write on a postcard you send to your representative. 28:50: Do our representatives pay attention to Twitter hashtags? 29:48: How www.govtrack.us/ and www.congress.gov/ can help you advocate! 35:30: Brooke always does this one thing before she goes into a meeting. 39:70: Learn which senator is also a gastroenterologist. 52:35: New segment on the show: Amber’s Unsolicited Parenting Advice! *Don’t know where to start? Get in touch with us—we’re friendly!